I’m tired of being nickel-and-dimed on vacation. Every time I see a hefty $7 price tag on a hotel room Snickers bar, I cringe. Recent wallet-wringing trips inspired me to do some research on complimentary hotel amenities that rock. Here are some of the best freebies you’ll find on property. 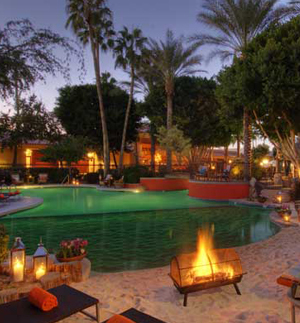 FireSky Resort & Spa, a Kimpton hotel, makes it easy to explore downtown Scottsdale’s shops, restaurants and museums with its complimentary bike program. Pedal on over and make it back in time for daily hosted wine hour in the living-room-style lobby. Rooms at the FireSky are also stocked with all of the free yoga gear that you need to practice. If you join the Kimpton InTouch program (also at no cost), you’ll get a raid-the-mini-bar credit with each stay, free Internet, discounts on in-room spa services and other specials. 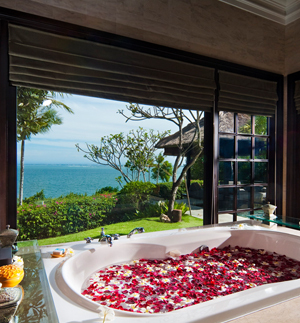 Home to 78 freestanding, cliff-top luxury villas, Ayana Resort and Spa is set in traditional Balinese compounds with private pools surrounded by lush, tropical gardens. Here, every day is a delight, with complimentary amenities like aromatic bath salts on Monday and freshly brewed Bali coffee on Sunday. Other gratis local delicacies include natural Balinese soaps and strawberry-dipped chocolate with strawberry juice from Bali Hills. The foodie fun continues on Friday evenings when you’re treated to traditional hors d’oeuvres and lemon juice. 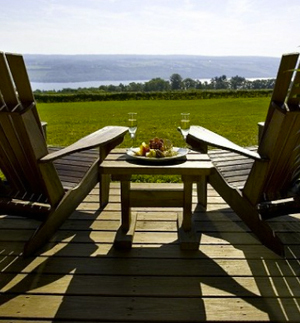 Oenophiles love The Inn at Glenora Wine Cellars not only for its fantastic vino, but also because every room here features sweeping views of the vineyards and Seneca Lake. Staying at the Inn is all about the wine. Besides receiving a complimentary glass of sparkling wine upon arrival, you’ll also be spoiled with an in-room free bottle from Glenora Wine Cellars. In the retail shop, you can sample a different varietal every day. Glenora features a wide variety of chardonnay, pinot noir, Riesling, cabernet and more. Plan a visit in March for the Feast & Fest wine and culinary event. 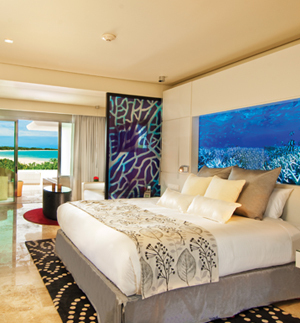 An all-new resort in Mexico’s Riviera Maya, Paradisus Playa del Carmen – La Perla is oceanfront and surrounded by a tropical preserve with views of Cozumel Island. It’s an adults-only, all-inclusive resort so leave the kiddies behind for some Caribbean R and R. Complimentary resort amenities at Paradisus La Perla are the experiential kind — I’m talking guacamole-making classes, bachata dance lessons and Zen philosophy. There’s even an “experience manager” whose sole responsibility is to direct things like mood-shifting lighting and subtle music to create a total experience for the senses. Nevis is a quieter alternative to its West Indies sister isle, St. Kitts. It’s a land of dreamy architecture, refurbished plantations and evergreen Caribbean countryside. 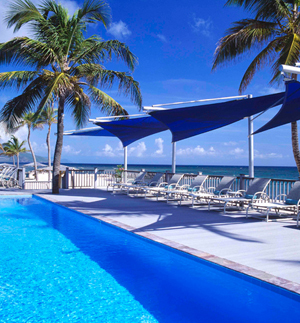 Nisbet Plantation Beach Club is where you can experience the island’s romantic old world charm. If you’re not lounging by the hotel’s oceanfront pool, you’re probably out exploring Nevis’ coconut palms and green vervet monkeys. Nisbet Plantation makes it easy to capture these vacation memories with complimentary Flip cameras; the hotel also helps you navigate the rainforest with free hiker GPS systems.